Many premium and free themes were released this August. Plus, we also got the latest version of WordPress, WordPress 4.6, with many new features and additions. This article goes over some of the best free WordPress themes from the month of August 2016. 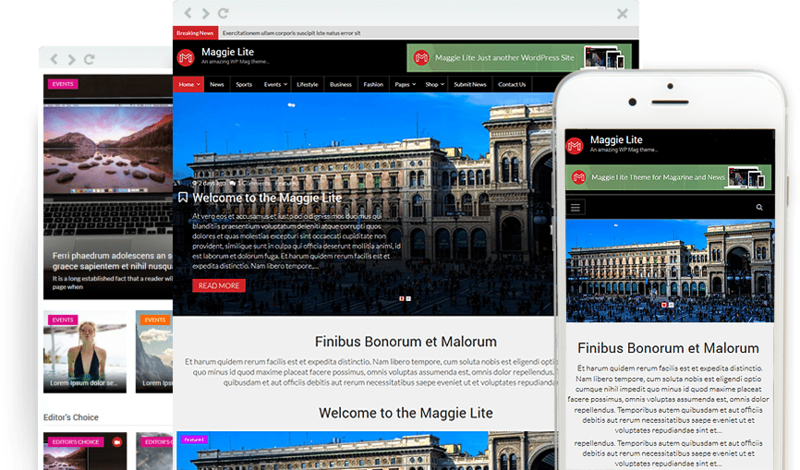 Maggie Lite is a free magazine theme for WordPress sites. It is responsive, supports post formats, and comes with custom page templates. Lontano is a minimal and clean WordPress theme for bloggers. It is responsive and translation ready. 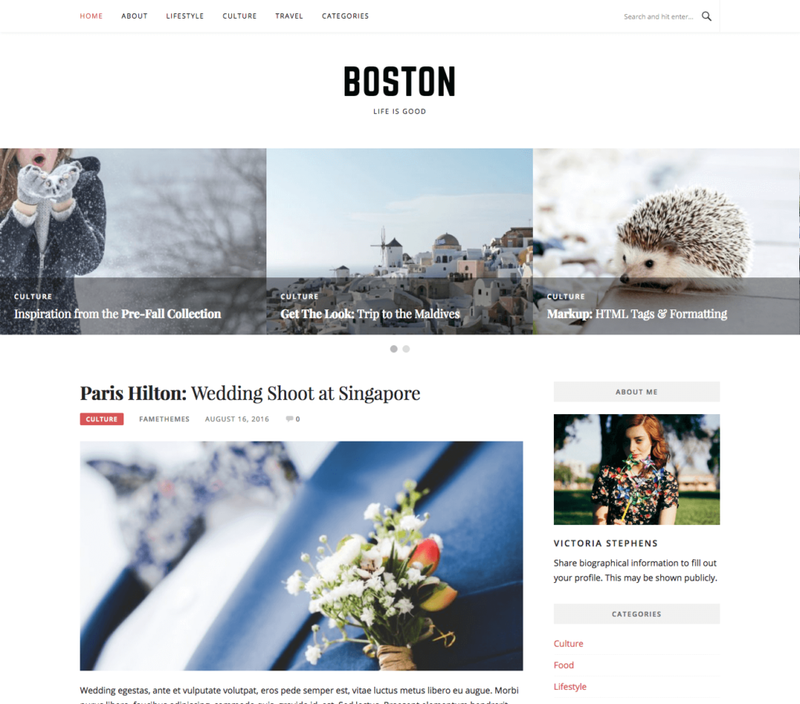 Boston is a responsive blogging WordPress theme. It features a two column layout with a homepage carousel for featured posts. Boston is translation ready. 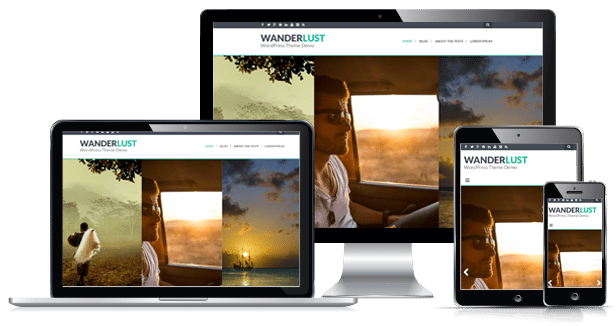 Wanderlust is a responsive WordPress theme catering to the needs of travel blogs. It features a homepage slider, multiple color options as well as custom page templates. 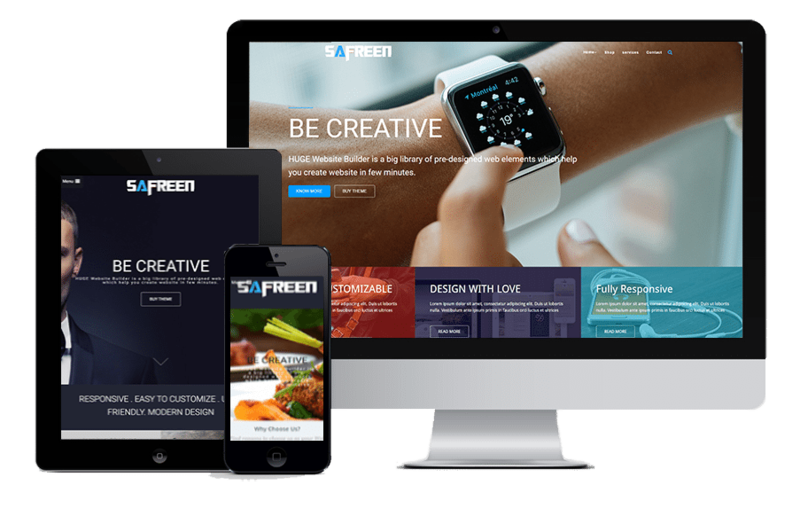 Safreen is a landing page WordPress theme. It is responsive, translation ready, and integrates well with various popular WordPress plugins. Safreen is based on the principles of flat design. 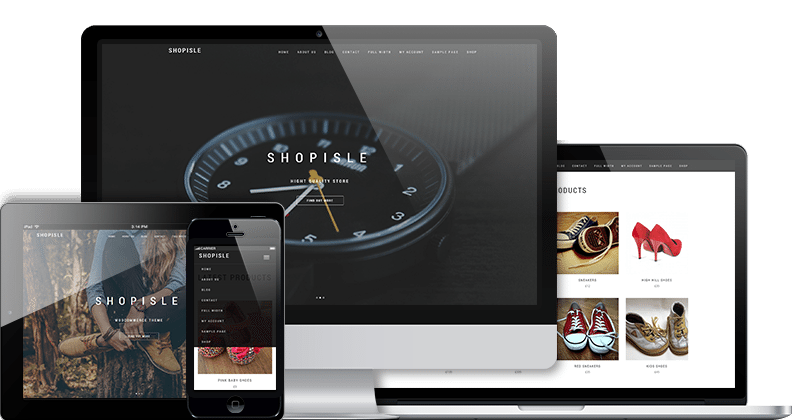 Shop Isle is a responsive eCommerce WordPress theme. It is based on Bootstrap and offers Parallax scrolling. Shop Isle plays well with WooCommerce. 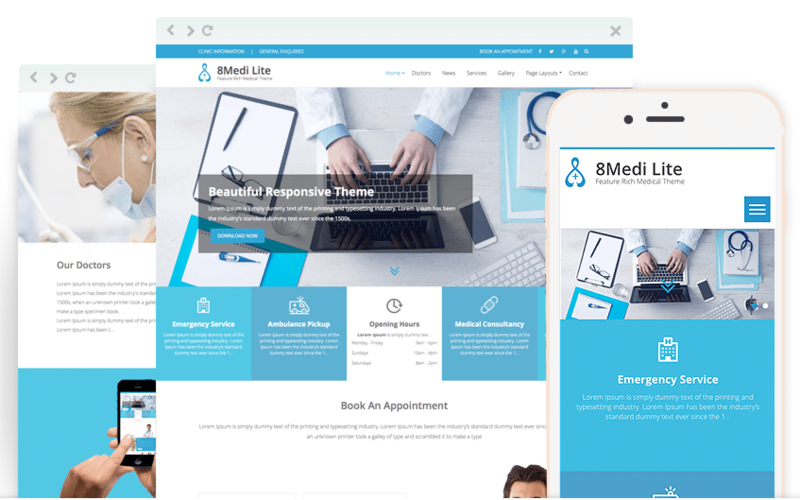 Eightmedi Lite is a WordPress theme for medical websites. It comes with a homepage slider, responsive design, multiple page layouts, as well as a separate news section. 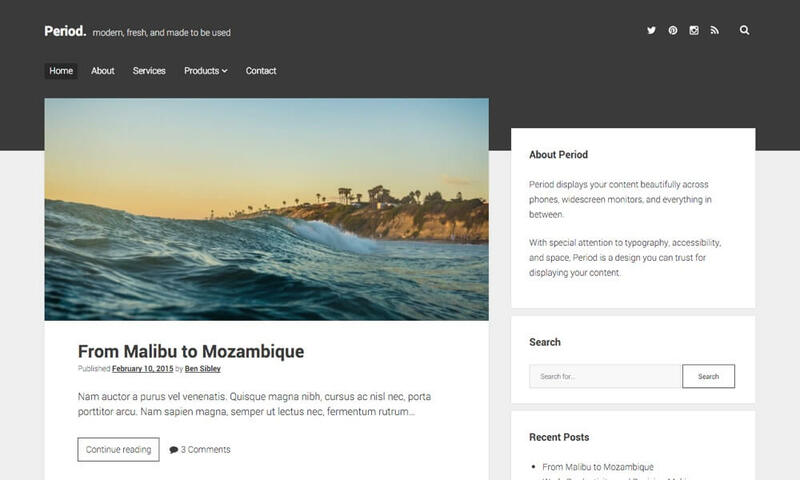 Period is an extremely simple and clean blogging WordPress theme with a focus on clean typography. It is responsive, minimal and translation ready. 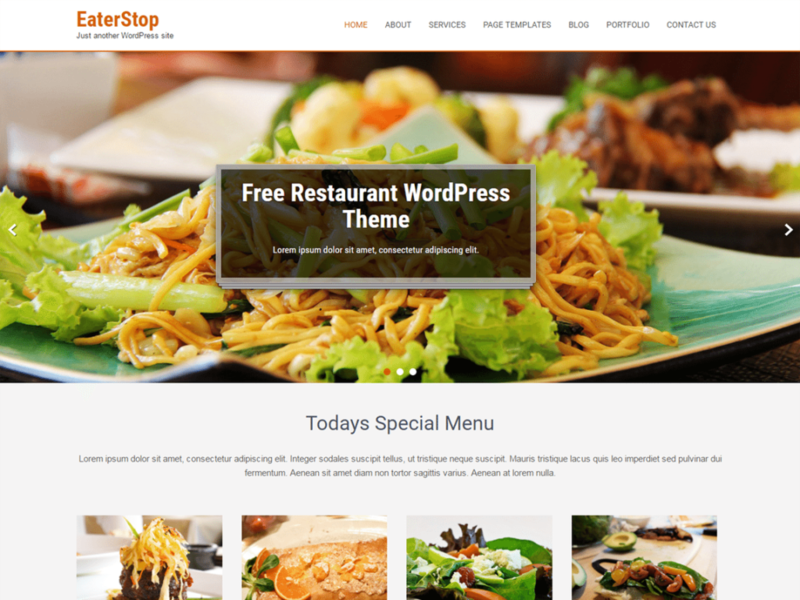 Eaterstop Lite is a WordPress theme for restaurants, bars, and other similar businesses. It is responsive and also has a custom full-width page template. 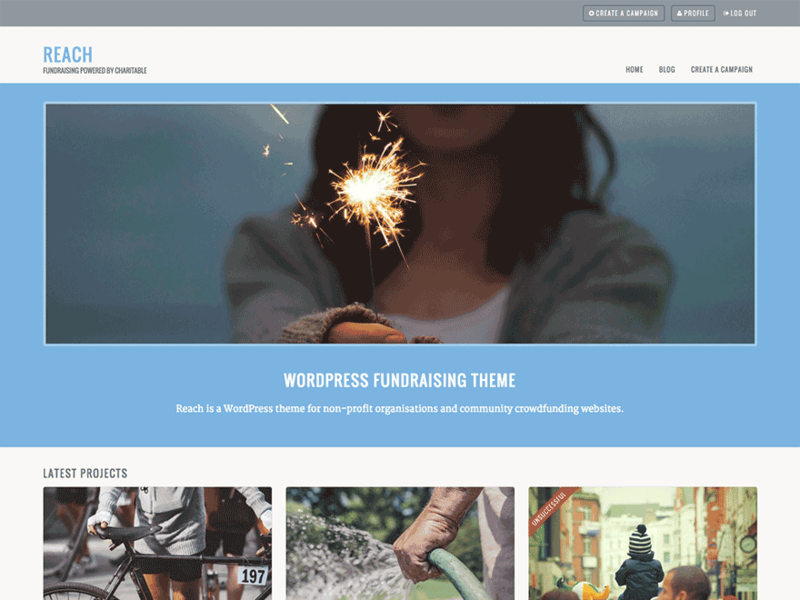 Reach is a responsive WordPress theme for non-profits, fundraisers, and charities. It integrates with the Easy Digital Downloads plugin to help you sell digital goods on your site. That brings us to the end of this month’s roundup of free WordPress themes. Which one do you like the most? Share your views in the comments below!